“Honey, I have a surprise for you!! !”, my husband hollered to me from the other room. 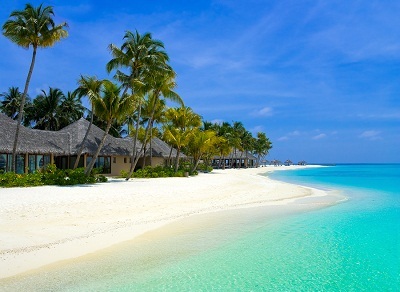 “I’ve booked us on the trip of a lifetime! We’re going to celebrate our twenty-fifth anniversary in Tortola, in the British Virgin Islands! Ahhhh, music to my ears. John couldn’t have told me anything better. And in the middle of a ferocious February winter, the balmy Caribbean was just what the doctor ordered. Off we went. Great flights to San Juan, Puerto Rico, followed by a smaller-but-not-too-small plane which hovered smoothly over those beautiful waters. There’s something about that water that flat soothes my soul. It’s truly one of God’s best creations. Prior to our departure, we’d received a call from American Airlines telling us our return flight from Tortola to San Juan had been cancelled, but that another airline, Cape Air, had picked us up and would get us back to San Juan. We wrote down the information, not thinking anything about it…. John burst out laughing. I saw no humor in this whatsoever. Whatsoever. Teensy planes don’t entice me at all. At all. Not the best way to start out a romantic getaway, huh? And guess what? I kept that visual, of that teensy plane, on my brain all week. While we did enjoy ourselves and have a great week, I confess that worry over that plane waged wars for real estate in my brain. “Cape Fear” was a more appropo’ name for that silly thing. And, sure enough, upon arrival at the airport, things went from bad to worse. The gate agent who took our ticket was God’s-gift-to-women, or so he thought. Same guy took us out onto the tarmac. Same guy loaded our luggage into the belly of the plane. Same guy sized us up, literally, placing us in strategic seats on the plane to balance the weight. There were only eight of us, total. 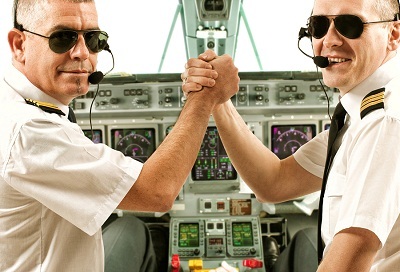 Worse, the very same guy posed the question, “Which of you would like to be my co-pilot??? ?” Are you kidding me? Even worse (could it be?? ), GUESS WHO VOLUNTEERED??? Yep, none other than my husband. If looks could kill, he’d have been smote on the spot. I was so consumed with fear, I couldn’t possibly enjoy the flight back. To add fuel to the fire, the very self-confident pilot kept turning around facing us and talking to us. I sooooo wanted to say, “Buddy, turn around, face the windshield and fly this plane!” Especially given my husband, our co-pilot, had never flown a plane. So here’s my confession: I have struggled with fear for as long as I can remember. How ‘bout you? Imagine my delight upon the discovery of a wonderful book. 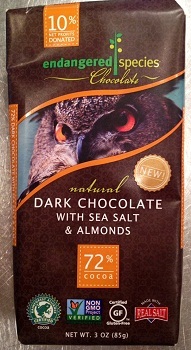 It grabbed my attention for two reasons: 1 – It deals with fear and 2 – It has something to do with chocolate! 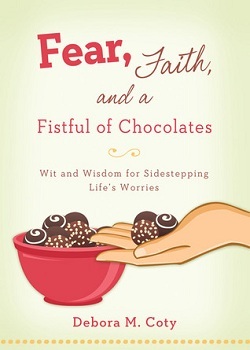 Debora M. Coty authored Fear, Faith and a Fistful of Chocolate—Wit and Wisdom for Sidestepping Life’s Worries. Over the next few weeks we’ll tackle fear of all kinds. I’ve about worn this little book out. I showed it to my buddy Liz recently and she noticed its’ pretty little pink-with-white-polka-dotted-pages. Not only is it helpful in many ways, it’s very cute. 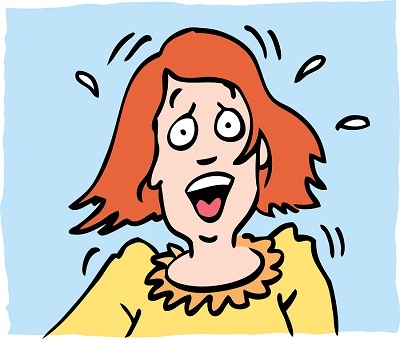 Debora tackles tough subjects such as what to do when unforeseen trauma occurs. She has a friend named Elizabeth who suffered a stroke and is dealing with living a “new normal”. She gives us readers several suggestions you won’t want to miss. Deborah also steps on my toes a tad and I suspect she will with you as well. (That’s a good thing tho’!) Look at this: “Fear is really a control issue.” Hope you can hear me groaning on that one. Any control freaks out there?!!! She points out, “…being in control is just an illusion. We’ve never been in control. And we never will be.” Why? Because God is Sovereign. He is in control. Period. I hope I hear a sigh of relief coming from every single one of you! Debora gives us a great quote by Elisabeth Elliott on “gripping too tightly to control: Today is mine. Tomorrow is none of my business. If I peer anxiously into the fog of the future, I will strain my spiritual eyes so that I will not see clearly what is required of me now.” In other words, we are in no way glorifying God with fretful minds. Good news: There’s plenty more great tips and Scripture I’ll be sharing with you in the next posts to help us cope with fear. You’ll love this book! Oh, my – I just adore your wee tiny plane story, Elizabeth! Wish I’d had it for my book! Better yet, YOU should consider writing a book … you’ve sure got the chops! Keep up the great blog, girlfriend. Loved this one! Sure it fits most of us. Keep up the great blogs! !